Events = Show Special rates will apply and will vary based on time available. Before starting the session, you should notify Carolyn of any conditions your animal might have and any changes since a prior session. Some conditions may require your Veterinarians consent before massage begins. The first session is very exciting and your animal may only allow massage for a few minutes at a time. This is expected since we are all getting to know each other and evaluating the new situation. A dog not familiar with this special treatment will need to evaluate not only the therapist but whether they like being touched in this manner. It is a trust issue and in all cases so far, the response has been very positive!! At no time will an animal be forced to continue with the treatment if they appear uncomfortable or agitated. The animal determines how the treatment proceeds. After a few treatments, most enjoy the work and prefer longer treatments. It may be helpful for the owner or a familiar person to be present during the massage until the animal is comfortable with the therapist. Limiting distractions during sessions is also encouraged. Once your animal is accustomed to massage, you may find that they don't want the session to end! Owners will be given basic techniques to keep the animal happy between sessions. After all, I must eventually go home :). Check the Events page to see where we will be next and how you can help a worthy cause! This is a great way to meet and get an introduction to canine massage. Stop by and say hello!! Show sessions tend to be shorter due to distractions. 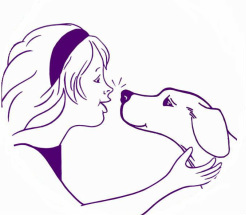 - All sessions include instructions on how to massage your animals at home. - Discounts available for multiple small animals (this includes dogs, cats and rabbits). - Rates may vary based on travel. - Gift certificates are available!